Myeloma is an aggregation of dysfunctional plasma cells, otherwise known as cancer. The vast majority of plasma cells exist in the bone marrow, with myeloma usually affecting the hips, spine, and skull. Multiple myeloma refers to the occurrence of the cancer at more than one site in the body. Consequences of myeloma include immune system dysfunction, primarily the overproduction of antibodies, and problems stemming from tumor formations in the body. Myeloma is a rare form of cancer amounting to only 1% of the cancers diagnosed every year. The risk of being diagnosed with myeloma is higher for older individuals and members of the black population. Curcumin and myeloma have a unique relationship, discovered in the laboratory time and again. In 2003 the Journal of Immunology published the findings of researchers from the M.D. Anderson Cancer Center’s study on Curcumin. Curcumin was effective in killing, decreasing or preventing the multiplication of myeloma cells. 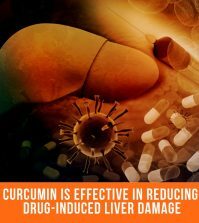 Curcumin also exhibited the ability to increase the effects of more mainstream approaches, i.e., the use of drugs. 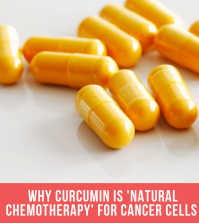 In 2009 a study published in Molecular Cancer Therapeutics conducted by the same researchers at the M. D. Anderson Cancer Center, concluded Curcumin impeded the growth of multiple myeloma cells. The cells did not respond to numerous drugs including dexamethasone, an anti-inflammatory, doxorubicin, an anthracycline antibiotic used in chemotherapy, or melphalan, a drug used to treat multiple myeloma by blocking cancer cell progression. 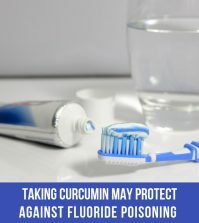 The same study found Curcumin was effective at intensifying the effects of thalidomide (in regards to stimulating the immune system), and the chemotherapy drug Velcade, a proteasome inhibitor. Researchers from Bulgaria published their findings on Curcumin and myeloma from the study Antineoplastic and anticlastogenic properties of curcumin in the Annals of the New York Academy of Sciences journal in January 2007. 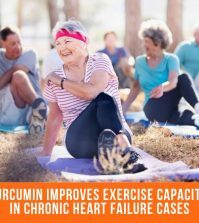 The data shows Curcumin exerts anti-tumor activity by inhibiting gene expression and eradicating cancer-causing free radicals. An M. D. Anderson clinical trial explored Curcumin’s effects on two different pathways responsible for the growth of tumor cells and their metastasization. Two groups suffering from multiple myeloma participated in the trial with the first group taking Curcumin in isolation while the other group took Curcumin plus Bioperine, a black pepper extract. 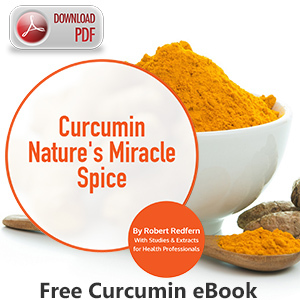 Results of the study found that Curcumin decreased the growth and spread of myeloma cells. No side effects of any consequence were experienced by the participants. Curcumin and myeloma are a combination which will continue to be explored in the fight against different types of cancer, including myeloma and multiple myeloma. Therapeutics.http://mct.aacrjournals.org/content/8/4/959.abstract (accessed May 5, 2012). Alaikov, T, SM konstantinov, T tzanova, K Dinev, M Topaska-Ancheva, and MR Berger. “Antineoplastic and anticlastogenic properties of curcumin .” Annals of the New York Academy of Sciences. (2007): 355-70. http://www.ncbi.nlm.nih.gov/pubmed/17404048 (accessed May 5, 2012). Aggarwal, B, R Newman, C Bueso-Ramos, P Patel, X Zhou, R Alexanian, S Thomas, and D Weber. “Curcumin Downregulates NF-kB and Related Genes in Patients with Multiple Myeloma: Results of a Phase I/II Study..” blood. . http://abstracts.hematologylibrary.org/cgi/content/abstract/110/11/1177 (accessed May 5, 2012).